Rainbow Movers offers a variety of different residential, corporate, commercial moving and logistics moving services. Rainbow Movers has operated as the primer commercial moving service serving the Boston area since 1918 and operates a division called Eastern Mass Movers (EMM) which offers warehousing totaling 150,000 square feet and the one of the regions largest collection of specialized tractor trailers and regional trucks. As part of our logistics services at Rainbow Mover we will work with you and your supply chain management to assist you with efficiently planning, implementing and controlling the flow and storage of your goods throughout the entire process.  Rainbow Movers and EMM are uniquely positioned to be a single source for all your commercial moving, storage, transportation, moving services and distribution needs. For more information about our commercial moving services and logistics, questions or to request a free quote speak with one of our professional moving and storage experts today.